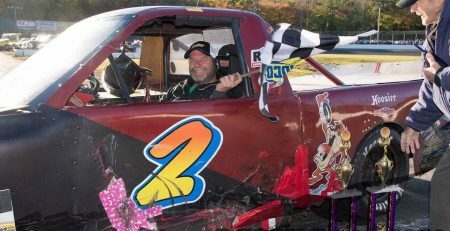 WATERFORD — It wasn’t how Peter Bennett opened the 2018 New London-Waterford Speedbowl Saturday Legends season, but how he closed it that counted. On opening day, he almost didn’t start the race because of a failed ignition switch. 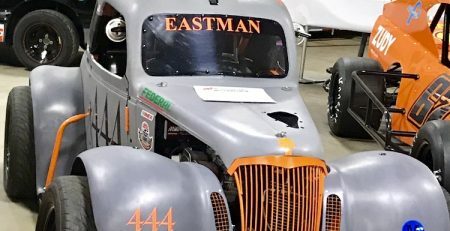 Although he had to start the 25-lap feature at the rear of the field, he rallied to finish fourth, an indication of the skill he had of weaving his way through traffic. It was a skill he used quite often during the remainder of the 2018 season. After the sluggish start, Bennett rallied to win six races and the Saturday Legends title by 52 points over runner-up Scott Limkemann. 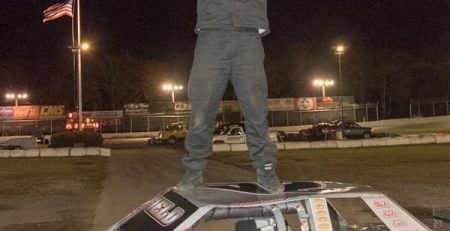 Bennett also racked up the Wednesday title, making him the sixth Speedbowl driver to win both the Wednesday and Saturday crown in the same season. Considering it was only his second year behind the wheel in a Legends car, his achievement even was more amazing. Bennett, however, knows how he did it — with a consistent car every week. And most of the time he was better than that. 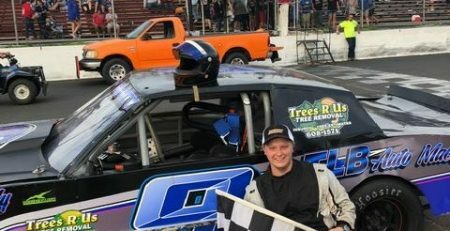 Bennett dominated the second race of the season, overtaking Kyle Rogers with 11 laps to go, to chalk up his first win of the year. 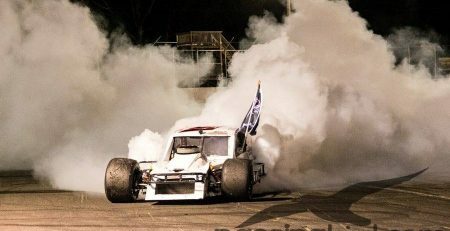 His biggest win of the season took place on June 29 when he captured the Summer Showdown and the $2,020 purse that went with it. Bennett only led for one lap and finished second on the track, but was declared the winner when Alex McCollum was disqualified after post-race inspection. After losing one of the closest races in Legends history — by 0.003 seconds to Mike Blaskey, Bennett got hot again at the end of the season. Bennett won double features on Sept. 29 and then wrapped up the season finale on Oct. 21 — and also wrapped up the championship. 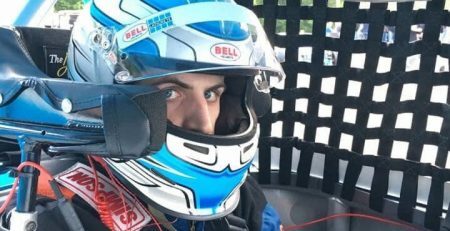 It wasn’t a bad accomplishment for a driver who started his career in the Nutmeg Kart Club in 2010. 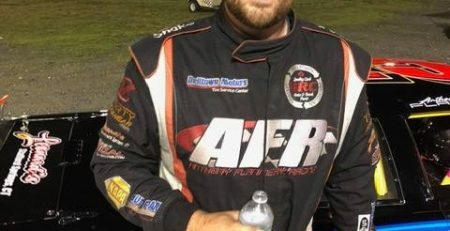 During his last 4 years of Karts, he raced for Dave Tracy, but when Tracy retired as parts vendor in 2016, Bennett decided to re-invent himself as a driver. Bennett’s sponsorship includes Portofino’s Restaurant in Kensington, Wayne’s Town-Line Service, Johnny Olson’s Quality Used Cars, realtor Tom Perra, Kingsley Plumbing and Heating, S and M landscaping and Greg and Ava. His crew includes his dad Peter, Ray and Dennis. Bennett says he’s 95 percent certain he will be returning to the Speedbowl on Wednesday nights to defend his title. Because the Legends division no longer races Saturdays, Bennett says he will be able to do some traveling on weekends. He also will be savoring the memories of 2018 when he joined Jags Palmer, Jason Palmer, Anthony Flannery, Dana DiMatteo and Mike Christopher Jr. He was better than consistent in 2018 — he was dominating.